Our law firm's attorneys are committed to treating our clients with the respect, dignity and professionalism they deserve. We diligently work with our clients to gain and deserve their trust, striving to give each client not only individualized attention but also a customized solution to his or her legal problem. When it comes to advocating for our clients, we are known throughout Pennsylvania for our aggressive litigation style and our skilled negotiation abilities. We are also experienced, proactive legal counselors whose goal is to make the law work for our clients. 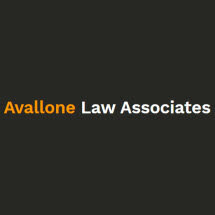 Since 1982, Avallone Law Associates has been protecting our clients' legal rights. Our law firm also is highly experienced in election and government law. We are proud that the Republican Party trusted us to counsel them regarding the many complexities that exist in the political process.